A gate can be a fantastic addition to a home. It adds some aesthetic desirability, but it is also a security feature that potential buyers are going to look at should you decide to sell your home in the future. 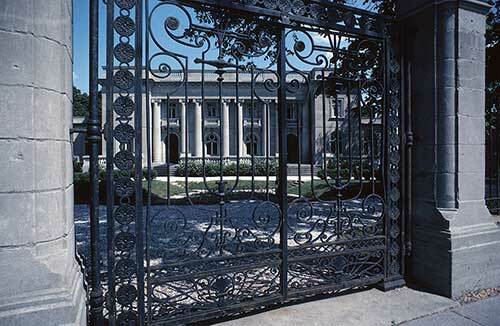 Many different types of gates are available, and you should pick the perfect one to go on your property. This is a type of gate that swings open, either toward your home or away, in order to let cars in. There are a few considerations to make for this gate. For starters, you have to determine whether you want a single gate to swing open or if you want two pieces to open. Swinging gates are generally ideal for structures that are made out of lighter materials because they are easier to move. This is a gate that opens by sliding the door to the side. Many pieces are necessary for this gate to get it working optimally, and you should ensure the chain you get is long enough to move the gate completely. For homeowners who want a heavier gate, the sliding option is preferable. Gates come in all types of configurations. If you require further assistance to figure out what gate is best for your home, call Overhead Door Company of Lexington, Inc. at 800-678-3667.